This little hat is just darling! 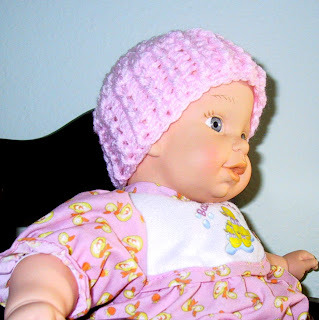 My 3-year-old was watching as I was looking at it and she asked if I could make her a little hat for her doll. I think this pattern would be just the thing! *THANK YOU! * for such a lovely pattern!!!! Thanks for sharing this pattern. I'm using it for charity projects. Love hearing people have made one of my patterns for giving.